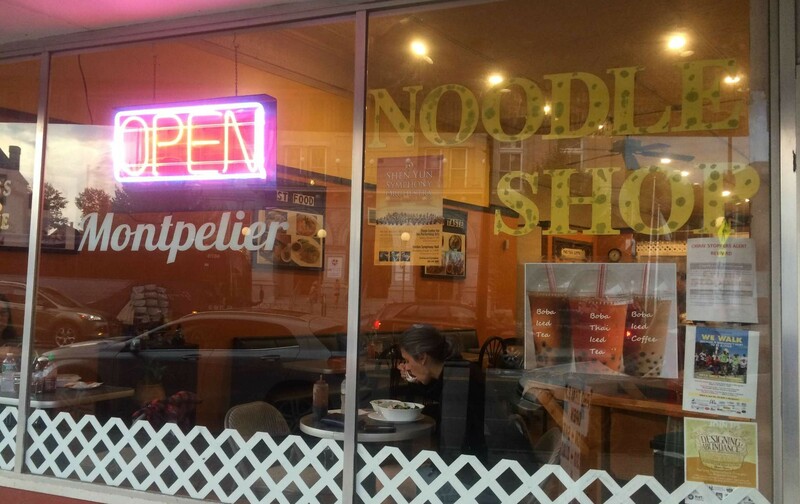 Once upon a time, not so long ago, there was no pho in Montpelier. That changed in a hurry this spring when two Vietnamese restaurants opened. Pho Capital now fills the historic former Thrush Tavern space on State Street with the smell of fish sauce. 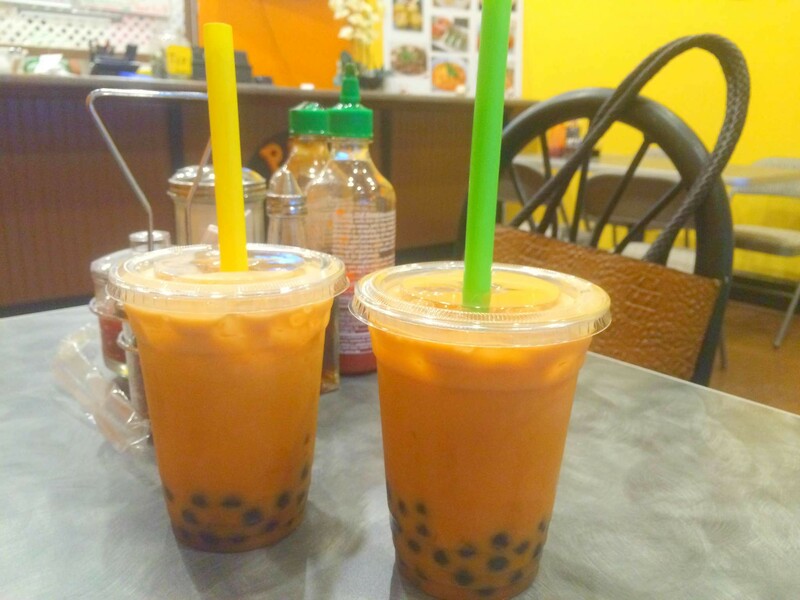 Its patio makes it the spot for a relaxed meal of bun and banh xeo. I'll review it soon, but on Friday evening, I was in Montpelier and in a hurry. 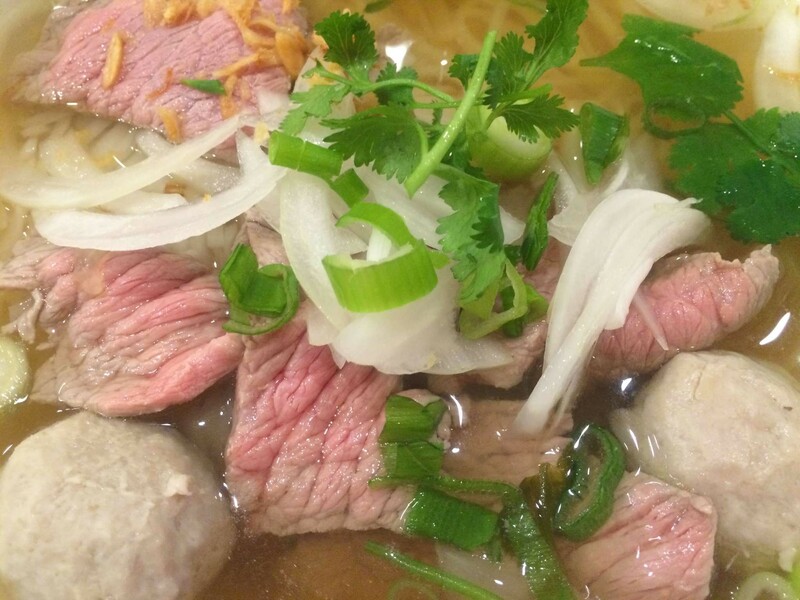 And there's no better place to go in a hurry than Pho Thai Express. The idea is a novel one, not just in Montpelier but in the Green Mountains. This is true fast food, with dishes mostly served in take-out containers. But that doesn't mean the service felt rushed when I visited. Owner Sam Thongjanthoug had an easy smile and a fatherly air. He seemed a little surprised that my friend and I decided to enjoy our soups in bowls at the restaurant, rather than taking dinner to go. I didn't even have time to contemplate the sign's potential veracity before Thongjanthoug delivered the green papaya salad. Having the salad ready and waiting was kind of a master stroke. We were fed immediately, the salad was chilled, and the combination of chile and lime was deeply imbued in the papaya, green beans and carrots. The tomatoes appeared to have been added at the last minute to keep them firm. 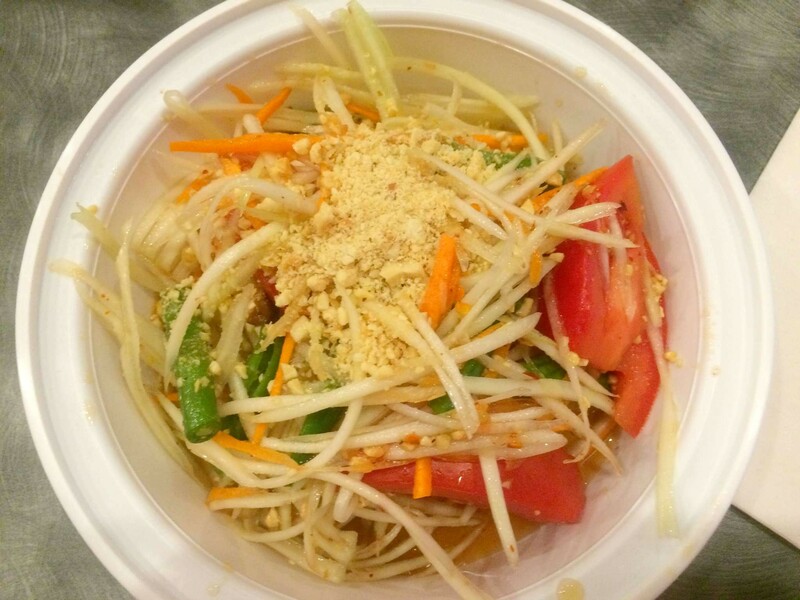 With a powdery topping of peanuts, it wasn't the best som tam I've ever had, but it was a solid entry in the category. 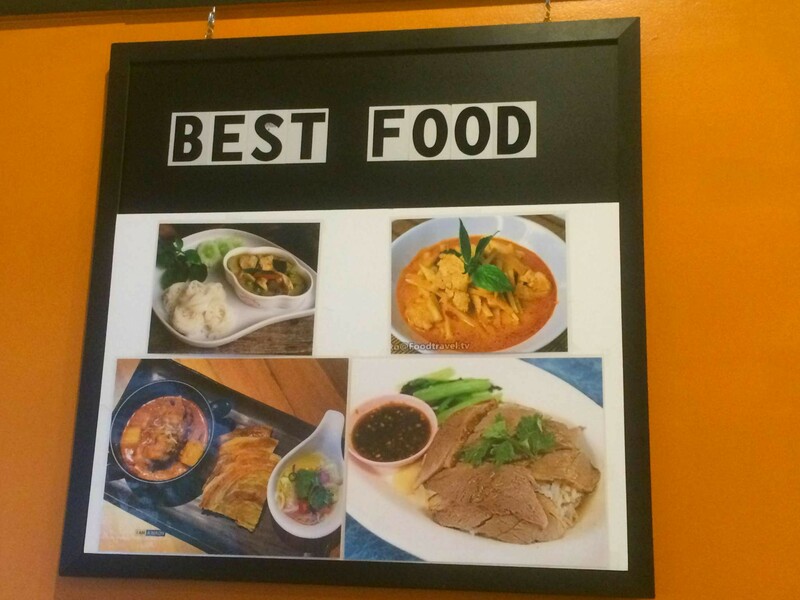 All entrées, including several iterations of pho, yellow curry chicken and barbecue pork, ring up at $8.99. 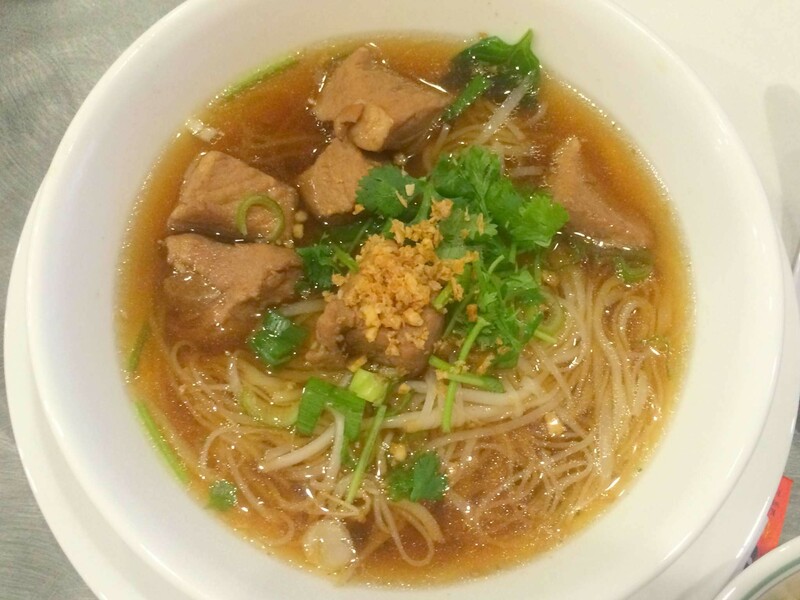 But basic beef soup seemed like an obvious necessity at a place with pho in its name. The beef within was American-friendly: lean, tender and just blushing thanks to a light cook in the hot broth. I was a fan of the dense, juicy meatballs and the shower of cilantro, too. But the broth itself was wimpy. The deep, beefy musk and aromatic spices I crave were totally absent. But, strangely, I found the broth of my fantasies in another soup. I ordered the Hunan-style crock pot pork stew, expecting something thicker and heartier. What I got was a rich broth almost vibrating with cinnamon and anise. I wish it had been used in the pho. The slow-cooked cubes of pork were admirably tender, if slightly dry. But I didn't mind. Next time I'm in a hurry in Montpelier, I'll be back.